Columbia is a popular planned community founded in Howard County in 1967. Columbia real estate is composed of nine villages and is home to more than 100,000 residents. In addition to schools, neighborhoods, and parks, each village has its own shopping center. The non-profit Columbia Association (CA) maintains a robust quality of life for residents in this community-centered city. The CA operates 24 neighborhood centers, the Columbia Volunteer Corps, and the Columbia Art Center. Columbia real estate is in demand, thanks to its many cultural attractions and its excellent location between Baltimore andWashington, D.C.. And because of its low residential turnover and stable population, Columbia real estate is an ideal choice for real investors and people looking for homes for sale. 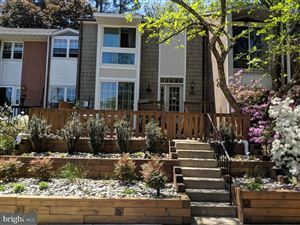 You can learn more about the Howard County real estate market, including timely statistics about active inventory and the median sales price of area homes, by visiting the Howard County Housing Market. Whats your Columbia home value?